On the 20th January Donald Trump was sworn in as President of the USA. Coupled with Brexit it’s a perfect storm for those of a liberal bent. Although there are those who say the liberal thinkers brought it on by ignoring a large and growing segment of the population. During his campaign President Trump didn’t mix any words or take any hostages. He knew who he was appealing to. His selected team also seems hard line. Some elements of his platform sound interesting. For example the large scale transfer of work overseas. For many years we’ve congratulated ourselves on reducing our carbon footprint but there has been quite a piece of illusion about it. Our heavy industry has been moved to Asia and they’re pumping out the carbon instead. We haven’t stopped buying steel products and expensively processed aluminium. We changed where it’s coming from. President Trump is claiming that he’ll bring jobs back so that the decimated cities can fire up their mills. Maybe the mills won’t be just as they were, but that can’t be too bad an aspiration. The Brexit voters are of a similar ilk. They largely came from washed up areas like Burnley and South Yorkshire where large areas are still living in the shadow of the 1980’s industrial cut backs. You may wonder why no government since then did anything about it. Partly it was because those people were too quiet often not voting at all until the EU referendum came along and gave them something that actually spoke for them. So here we are President Trump and Brexit moving not the goalposts but the whole playing field. Will it change the post war tide or are they figments of a changing world. Is the tide going out in the west and rising in the east. Every now and then there is a correction to the flow and we think things will change but normally things settle back, will it this time? There was a time when big companies had Final Salary schemes that were overflowing with money and the companies took what were known as Pension Holidays when they stopped paying in. From time to time with some prodding by unions they’d increase benefits. Perhaps improving the lot of some group of employees who’d not been entitled to full benefits or perhaps improving the inflation proofing. During the 1990’s everyone was talking about living longer. People were also retiring early. This didn’t seem to worry anyone. It took a lot of time to realise that pension funds needed more money to pay these extended pensions. On top of that interest rates and bond rates were hit during the financial crisis so that long term calculations of returns showed that pension funds were underfunded by Billions of pounds. One by one companies reduced the pensions they were offering or closed them down. Some being handed to the Pensions Lifeboat. No-one seems to ask how long the Pensions Lifeboat will last. At some point only a few companies will be supporting it and perhaps millions of pensions will be inside the lifeboat. A change in bond yields could change all this very quickly but what will bring about the change in yields. If the economy goes bust and interest rates need to increase along with bonds it will hardly be the time to talk about increasing pension benefits. Last year, 2016, it is said pension deficits trebled overall. It seems many pensions are skating on very thin ice. David Davis the minister for Brexit says to keep quiet about the Brexit strategy. Cards close to chest etc. How do you keep it a secret? As soon as talks begin it will become apparent unless it’s fiendishly clever, which seems unlikely. Although it could be that the secret plan masks that there is no plan and we’re flying by the seat of our pants. The UK red line is that immigration will be restricted to skilled people who have got a job in the UK. Although fruit pickers and students will surely be allowed. The EU red line is it’s an open market with 4 freedoms or nothing. Although there are things the EU will want to sell to us such as German cars and French wine. It seems almost certain to become a fragmented discussion swapping cars for agriculture, fishing for wine. Each of these needing agreement of the people of Wallonia and the other sub-regions of Belgium. The UK has Ireland and Malta on its side though so the world is our oyster. As the pound is now almost equal to a Euro imports of German cars are likely to decrease as price increases kick in. Perhaps the Germans will worry about that although to them the EU is a principle above trade, we’re told. It sounds easier to just leave immediately and fall back on World Trade Agreements. Although such a move will need emergency action by governments all over Europe to prevent goods and food piling up at docks and the freezing of money flows. It would be branded totally irresponsible. So there we have it, a secret plan, an entrenched position and the crazy gang. Nothing can go wrong. We have a new PM and with that we got a cabinet with 3 pro-Brexit members in charge of arranging Brexit. We know the PM says Brexit means Brexit and it will be 2017 before Article 50 declaring intent to leave is issued by the UK. The EU says there will be no negotiations by them or member states until Article 50 is issued. The 4 freedoms are key principles and cannot be cherry picked. Some recent announcements are a bit of a step back. There will be no Australian Points System as it is said to be too complex and generally used to increase rather than control immigration. This week David Davis said our negotiating position will be reported after the event to guard our position. Watch out for leaks. Also the £355m a week to the NHS is being dropped. In reality nothing is carved in stone but beyond the above the rest is more speculative with different opinions being expressed on what Brexit means, not least differences between the 3 Brexiteers in the cabinet. What exactly is Brexit? Is it hard or is it soft. David Davis is saying these will be the most complex negotiations ever undertaken. Some such as Ian Duncan Smith would likely take a simpler route with less agreement and a harder exit. Who will get the £355m a week windfall? The NHS funding statement is said to be dropped and farmers will be looking for their share as will countless others. In the EU we’ll get different priorities from different countries. Outside the EU we’ll get those who want a strong Europe with the UK inside and some who want a weak Europe. Some who are just keen on Europe being one group to deal with. Trade deals, inward investment will be influenced by these positions. There will be attempts to gain special terms for parts of the Union. The government hasn’t got a big majority can it carry the day. The biggest unknown is whether it’s all a mistake. Will it happen, could it just fade away? It is likely that things will begin to fall into place in 2017 and for most people it will not have a big effect on their lives. Although there are always some who will be effected a lot, some positively it must be said. Whether the 3 Brexiteers in the Cabinet are up to the job of ‘taking back control’ will start to become clear. There will be errors and there will be noise but it is likely we’ll leave the EU in 2019. Just in time for the next General Election. The Electoral Commission is to publish initial findings on the 13th September for its review of boundaries. There will then be a 12 week public consultation period and two other public reviews before the September 2018 presentation to Parliament. The Commission has an objective to maintain equality in the numbers of registered voters in each constituency while respecting local affinities. For the 2018 review Parliament has directed that the number of constituencies is reduced to 600 from 650. This is objected to by the opposition, Labour, as their seats tend to be in smaller constituencies although they maintain that there is a higher number of unregistered people in those areas. While the Conservatives claim that Labour has a built in majority by having too many seats. The North West has an electorate of 5,074,302 and 75 seats. It is expected this will be reduced to 68 seats. The North West will have the biggest reduction in seats of any area. Scotland and Wales have the smallest electoral numbers in constituencies, with one in Scotland being only 21,000. The Isle of Wight is the largest being 108,000 and several in the South East are very big. Preston is in the smaller ones with 59,000. The average needs to be around 75,000 and all the others, except 4, are to be within plus or minus 5% or between about 71,000 to 79,000. The proposal is to be made to the Secretary of State by September 2018 and to be used in the General Election of 2020. It seems reasonable to have seats with similar numbers of voters. It isn’t fair to voters if a few people can vote in an MP in one place and it takes thousands more in another. We don’t allow for registered voters who don’t vote in elections and similarly we shouldn’t allow for unregistered voters. It also seems sensible to reduce the number of MPs. It isn’t obvious that an extra few thousand voters will add an intolerable burdon to an MPs workload if some already cover nearly 100,000. Another difficulty with the change is that a number of MPs are going to lose their seat altogether and that can make things harder for party leaders. Overall this seems a good thing and look to a similar exercise in the House of Lords. Northern Powerhouse for the chop? The previous Chancellor, George Osborne, put forward a number of plans for more devolution and had a vision of creating a northern hub mainly based on Manchester and Leeds. Since the referendum the new administration seems to be backtracking from the focus on the north and easing on the stick being used to get Mayors elected in exchange for more devolution and control over local budgets. Whether it was that George Osborne is MP for Tatton near Manchester but that city seemed to be getting the lion’s share of attention, Theresa May is saying we want a powerhouse in every region, the Midlands, South West being two. It is probably true that the South East and Scotland already get a bigger share of investment. HS2 and HS3 rail upgrades are still on the table. Manchester will have control over a bigger budget including health and a mayoral election is going ahead with Andy Burnham looking for the role. Other centres are struggling to get agreement with Lancashire having one borough council not wanting to be run by a combined authority and Yorkshire having similar problems. The term ‘Northern Powerhouse’ is quite snappy but, like most things, sceptics liked to mock. It seems that it will continue in some form but the name and some of the features such as the mayors will probably slip away. Posted in Political, Uncategorized	| Comments Off on Northern Powerhouse for the chop? On the 1st August it was announced that the Lake District will be extended eastwards to the M6 and the Yorkshire Dales will be extended westwards to the M6. From the west coast to the east coast there is now only a gap of about 20 miles that is not in National Park land. That is the gap between the Yorkshire Dales and the North Yorkshire Moors National Parks. Although the M6 itself appears to be in a corridor of unprotected land. That stretch around Tebay is probably the most scenic stretch of motorway in Britain. 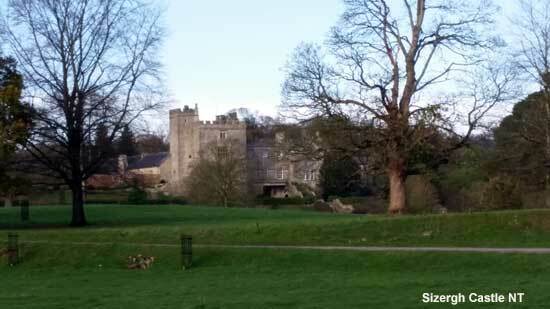 Sizergh Castle which is a pleasing National Trust property in south Lakeland is now in the Lake District National Park. The only hiccup in the latest change is that the Yorkshire Dales National Park now extends into Lancashire so we think the name should be changed to the Lancashire & Yorkshire Dales. Lancashire has some interesting places. We visited Slaidburn in the Forest of Bowland with the Friends of the Lancashire Archives. That area has large parts of the Duke of Westminster’s Estate. From the west you can access it from Clitheroe, Longridge or from the A6 near Galgate. 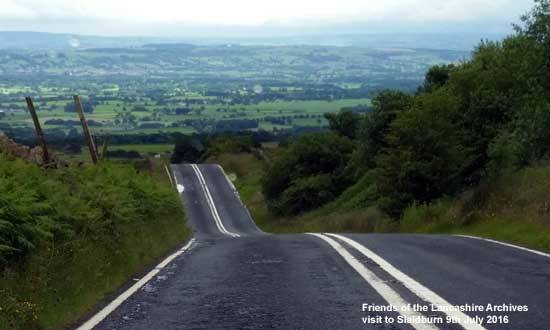 You soon enter hilly and isolated areas with very narrow lanes that go on and on, making for slow travel especially the route from the A6 or to Longridge. Slaidburn features several interesting houses in the surrounding area as well as quaint pub with B&B. The war memorial is also very poignant. June 23rd was the day the UK voted to leave the EU by 52%/48%. In England the country and towns voted to leave while the big cities voted to remain. Wales voted out. Scotland, Northern Ireland and Gibraltar voted to remain. The north west followed English trends with only Manchester, Liverpool and LibDem South Lakeland voting to remain. What is it about the towns and countryside that made them vote out? Boris Johnson who was probably the main cheer leader for Leave says it was sovereignty, the right to vote for their representatives. Although most commentators say immigration was the biggest factor and if the EU had been more flexible in allowing the UK to restrict immigration it would have made a difference. Both sides accuse the other of lying. Although Boris Johnson being photographed next to a poster saying the £355million a day will be given to the NHS seems the most memorable example. A second example could be the emergency budget threats George Osborne made. The Labour Party MPs landed themselves in a civil war by accusing their leader, Jeremy Corbyn, of being ineffectual. It did seem that his heart wasn’t in the Remain case. Basically 72% turned out and of that 52% voted to Leave so just over a third of the population voted out. Of those a good majority where in the older category. From anecdotal experience immigration, in so far as it clogs up schools, housing, hospitals and jobs plus sovereignty are the big issues in that group regardless of them being Labour or Conservative voters. It is a feature of a referendum that extremists of the left and right are likely to vote for the same side. So it begins to make the outcome less certain in an election on this kind of subject. That young people tend not to turn out is also a factor, although who is to say that the non-voters would vote to plan. Overall the people have spoken. As a very strong Remain voter it is still our expectation that the so called Project Fear is more like a 10-15 year project. The worsening of the economy will happen slowly after a bumpy year or two. Seems like everyone I speak to or read on Facebook wants out of the EU. On this basis the result will be 90/10 for leaving. Yet the pundits say it’s a very close thing and Remain is likely to win. There is up to 40 years of pain for some people and they’re letting us know, that’s the only explanation I can find. There are a lot of bogus numbers about. Like the £355m a week we are said to pay the EU, in reality it’s nearer £130m as we don’t pay or get most of it back. Still a lot. There’s the claim each family will be £4,300 worse off if we leave, I’ve no idea where that comes from, probably possible loss of business. The Leaving case revolves around: The right to self govern, controls over immigration, reduction in red tape, making our own trade deals, keeping the payments to the EU to spend on what we want. The Remain case revolves around: we’re already doing relatively well, being a full member of the big EU market and having a say in what it does, the benefits of inward investment by being part of the market. Having our voice made louder by being part of the biggest trading area in the world. Not leaping into the unknown. There is a lot more depth to those points and there is a counter to every one. In conclusion I’ve heard nothing that makes me believe we will be better outside or that we won’t have to do deals that negate the reasons for leaving. At the moment voting Remain seems logical. The EU has a lot of problems but so does everyone. A packaging company in Nelson, East Lancashire, has closed due to cheap imports of plastic packaging and the 5p charge on plastic bags. Some 50 manufacturing jobs lost in an area that needs jobs. Bad news. Easter has been early this year and schools have taken different holiday dates because some say the term was too short. If you look after children and work it’s unfortunate that one child might be holiday for 2 weeks over Easter and the other child is holiday 2 weeks later. What do you do, take 4 weeks off work and what if you want to go away. At least one family has been fined because she took her children on holiday and one of them was at a school which wasn’t holiday. Many people may not be over concerned about Academies taking over from local authorities but this has shown a disadvantage to parents as it’s mainly academies that have taken later holidays. It is possible that it’s been detrimental to the national economy as no doubt some people have been unable to take holidays away or have had to take longer off work due to split holidays. Surely schools in an area should all have the same holiday dates. The EU referendum is an important milestone. Here are a few points from both sides, each one has counter points it seems. No questions asked about being an unrestricted part of the biggest market in the World. UK a place to invest for access to the biggest market. Able to use the weight of the EU in international trade agreements with other big world powers. 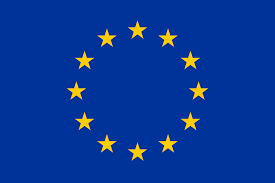 Able to participate in setting standards for trading, business and regulation in the EU. The EU is our biggest market for trade and will get bigger as it recovers. The UK plays a big part in the EU and leaving it will make western Europe weaker against other parts of Europe, and all Europe weaker in the world. UK able to veto EU measures and influence them towards our requirements. More self governed, within international laws. Will be able to trade with non-EU countries subject to new agreements or using World Trade Agreements. Will be able to import food from cheaper countries. Will be able to have own Human Rights Laws, maybe. Will not have to pay to the EU £18bn a year of which we get £10bn back making £8bn. Although we’ll need to pay for a free trade agreement with the EU and other unknowns. Will be able to control our own borders, although the EU often insists on access as part of a trade agreement and being outside won’t change non-EU immigration. There are millions of Britons in the EU and their future will be less certain. According to Out campaigners the EU will be desperate to trade with us. Although if 50% of your income came from one place against 10% for another do you not think the 50% would be the biggest pressure. Will need to accept EU rules without having a say for most of our trade. Potential risks to our Services industries an area that tends to be outside both the US and EU trade agreements. Also the EU could take a stronger line on trading in the Euro by a country outside the EU. Likely to create a hostile atmosphere make dealing with the EU more difficult, especially as the EU needs 27 countries to agree. Leaving will create difficulties in the UK in that Scotland could agitate for another referendum, although how successful that will be isn’t known with the dependence on oil coming to the fore with the low price. As yet the Out case appears a big risk and to create the so called Project Fear is a true reflection of the risks of leaving. A decision is due on replacing the existing submarines for the Trident nuclear weapon system. These submarines are built in the North West of England. Those who support it believe it is a deterrent and weapon of last resort that has made a major war unimaginable, making smaller conflicts the only option. They also believe that Europe should play its part in defence of the west and not rely wholly on the USA. The UK and France have this capability in Europe. Several other countries in the world have the capability and others are developing it. Another element is in maintaining the thousands of skilled jobs involved with it. Those against it point to the moral aspect of weapons of mass destruction and war in general. They believe that current wars are more related to insurgency than major attacks and that defence should be sized for that. They also point to the cost and how the money could be better spent. Some are developing a case to say the technology is outdated. Others think it makes them a more likely target. No doubt most people would like to reduce defence costs although some say an alternative would be more expensive. On the moral side the only country to have given up nuclear weapons is Ukraine and the UK was a signatory to the agreement to defend its borders. A rather thin guarantee in the end. In reality the jobs aspect should have no bearing on the decision as it is a matter of defence need and it is likely that other submarines and more ships will be needed to carry alternative weapons as well as extra squadrons of aircraft. Although using nuclear weapons appears unimaginable, as a weapon of last resort they definitely appear to have a deterrent effect. As there are smaller wars happening in Europe and the Middle East and China is building new bases far out to sea it seems a risky option not to maintain the capability and hope that they are never needed. The leader and some Labour MPs are aligned with the SNP and Green Party in wanting to remove nuclear weapons. Although a large number of Labour MPs support the renewal. The Conservatives support renewing the system and it is expected a vote in Parliament will approve it this year. Posted in Industrial, Political, Technological, Uncategorized	| Comments Off on Trident Nuclear deterrent? North West England has a lot of experience of working with other European countries in the aerospace and the automotive industry, also the travel industry and many others. A point made by several politicians is that the EU will be desperate to negotiate a trade deal with the UK if it leaves and this gives us some advantage. This seems to defy the common expectation that in most deals bigger does better. The EU, US and China are big. The UK is relatively small. In fact the UK has a lot of people who would like to be one up on it. So why will a separate UK will get a good deal off any of these or anyone else? It would be good to know, answers please! On the days up to Christmas the army were sent into Cumbria to build flood defences for the anticipated heavy rain on Christmas and Boxing Day. As it happened the storm hit Lancashire and Yorkshire. Repeat flooding in St Michael’s, Croston, Ribchester with Hebden Bridge and many places downstream including Leeds, Selby, York flooded. Also north east Scotland. York appeared to have the worst effects being at the confluence of 2 rivers and with a flood barrier to stop water from the Ouse going into the Foss and pumping from the Foss. As the flood barrier mechanism got flooded a decision was made to open the gate sacrificing an area to save a bigger one, it was said. Obviously questions are being asked about flood defences. It appears defences built only recently weren’t enough. There are many theories about dredging, opening flood plains, pumping, allowing woodland, different farming, building houses with different materials and styles, even houses on stilts. The floods have been in all corners of the UK so where to invest, what to do is subject to a Parliamentary Committee said to report in April. Watch that space, maybe. The north west of England and southern Scotland have suffered deep and widespread flooding from ‘Storm Desmond’ during the first week of December. A band of heavy rain coupled with high winds caused rivers to burst their banks. Carlisle was the worst effected, with Hawick, Keswick, Cockermouth, Glenridding, Appleby and further south St Michaels in Lancashire flooded. Pooley Bridge a 200 year of bridges was washed away. Lancaster and Morecambe had long power cuts after electricity sub-stations were flooded. Rail and road services were stopped and some places in the Lake District were completely cut off. The road between Keswick and Grasmere was washed away and could take months to repair causing a huge diversion for residents who travel between there. Both Carlisle and Cockermouth had suffered flooding in the not too distant past and had their defences improved. However the floods broke over the top. In Cockermouth some residents were better prepared with waterproof plaster, solid floors, tiled walls and electrics raised near the ceiling, some businesses were open within a couple of days. The area that seemed worst hit was round the football ground in Carlisle. The players came to help the residents. The emergency services including volunteers did a great job. The RNLI, Mountain Rescue, Fire Brigades, Police, Ambulance, Army all working day and night. The utility companies were working hard to get electricity, phones and services restarted. In Glenridding in the Lake District a second flood occurred later in the weed and the river blocked with rubble wasn’t able to take it. Local contractors and volunteers came in to dredge the river through the night. In Lancaster and Morecambe there was no power for days. Living in darkness. It was said candles and batteries and battery powered radios were selling well. Bay Radio was on the BBC Today programme with a great report of their 24 hour live coverage using a generator and taking calls requesting assistance. In St Michaels between Preston and Lancaster the Rivers Wyre and Brock combined and burst the flood defences, covering miles of fields with water as well as several houses and the village hall. Later in the week a second smaller band of rain repeated the flooding in some places and by the end of the week it was snowing. There are so many people who are willing to give their time and help. Overall in these situations the best comes out of the vast majority it’s an inspiration really. RNLI video of their rescue work in Carlisle. A series of videos from various sources are on YouTube. Today the government announced the high speed line to Crewe will be completed in 2027, or six years earlier than planned. This could reduce the London to Crewe journey time by 45 minutes although we need to know if the trains can travel on standard track the rest of the way to Manchester. 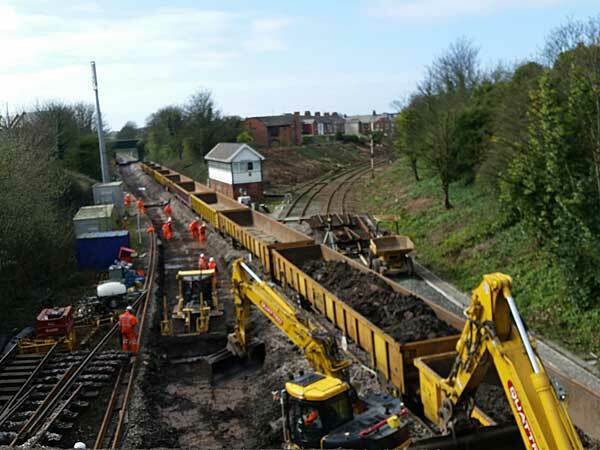 Also trains to Glasgow travelling via Warrington, Wigan and Preston will have their journey times reduced. The Pendolinos will surely be out of service by then but even those were originally planned for a 140mph service but the track wasn’t able to cope.